It’s first versus second in the East of Scotland League tomorrow as Kelty Hearts make the short trip across the Forth to play Leith Athletic. The match will take place at Peffermill due to the closure of Meadowbank this weekend for major redevelopment. The Capital side trail the reigning East Super League champions by five points. However, they do have a game in hand over their rivals. Kelty, though, have conceded just six goals in their 11 league fixtures to date while scoring a whopping 78 in the process. But if Steve Chalmers and Leighton Jones’ men harbour any aspirations of challenging for the title this term they must emerge with maximum points. Elsewhere, Preston Athletic host Lothian Thistle Hutchison Vale at the Pennypit, the visitors the only other side in the division to have won every game so far. Tynecastle, meanwhile, whose Football Nation Qualifying Cup third-round clash with Vale of Leithen was abandoned at half-time last Saturday due to the deteriorating conditions of the pitch, welcome Coldstream to Saughton Enclosure. And a resurgent Ormiston, chasing their fourth consecutive win, visit bottom club Tweedmouth Rangers. 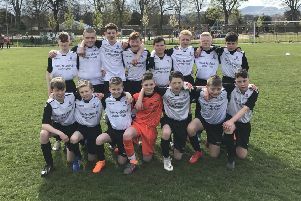 The East Lothian men have enjoyed success against Eyemouth, Burntisland Shipyard and Coldstream these past three weeks.